This Hazelnut tree produces large nuts with a very good texture and strong flavour and will grow to approximately 4 metres although restricting root growth with a container and/or pruning will control ultimate height. You should expect a productive life of around 50 years (unless the government change the pensionable age again and make it apply to fruit trees). Most Hazel trees require another to pollinate it (make it bear fruit) and this one performs well when planted close to an Ennis, Casina or Filbert Cosford. Item out of stock or want to try something similar then buy a Trazel tree. No Hazelnut tree is guaranteed self-fertile (will produce fruit without the need of pollen from another Hazelnut tree) but native hedging (almost all countryside hedges) containing Corylus Avellana (opens new window) will pollinate your chosen Hazelnut. So if hedging around your area contains the shape of leaf shown in the link then your tree will be pollinated by the wind. If you have any doubt and particularly want a heavy crop, purchase a second Hazelnut tree of a different species or a Trazel tree and plant in the same garden. Plant 5 metres apart. The male catkins are a little like Santa Claus in that they make an appearance late winter. A pleasant addition to a usually bare garden. Hazels are sun worshippers, the more sun they have the more nuts you get. If planted in shade your nut harvest will be reduced. Webbs and Gunslebert are known for self pollinating well without a very close pollination partner. Hazels are the only British native nut (that and Spike Milligan!) and they contain the healthy mono-saturated fats. Expect to harvest around September time when the husks are beginning to turn yellow. If you leave them longer, the local squirrels will likely take them all (unless you happen to have anti-squirrel measures in place e.g. RPG, anti aircraft guns etc). They can be stored in wet sand and will be edible until they germinate or leave on a tray in a sunny dry spot for two weeks until the husks are brown and papery. 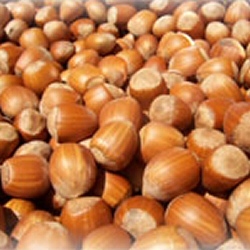 Although some Hazelnuts can produce nuts without a pollination partner, it is best to place one nearby to improve crop yields to prevent getting "blanks" which are cases without nuts in. The male yellow catkins and female red stigmas are produced on different parts of the tree and requires the right weather at the right time to ensure pollination. A suitable pollination partner placed within 50m negates that risk. Hazelnuts, oddly enough prefer less than fertile shallow soil (no pleasing some trees!). With the limited resources it has, the tree puts its efforts into nut production instead of vigorous growth. If grown on clay soil, do not fertilize them. Mature trees should not suffer problems with drought but while the tree is getting established (certainly the first year) and the weather is particularly hot and sustained then a bucket of water will be welcome once two or three times a week. Predators include Gall mites, aphids, winter moths and Weevils however they never reach a stage to present a serious problem and so require no spraying. For the purists out there you could provide an environment suitable for any or all of their predators to keep numbers down. Expect to see nuts on your tree when your neighbours super-glued some to the branches to see the look on your face or around the 3 or 4 year point. The trees you buy from Trees Online will be at least 2-3 years old depending when you purchased them so nuts should be with you within a year or two. 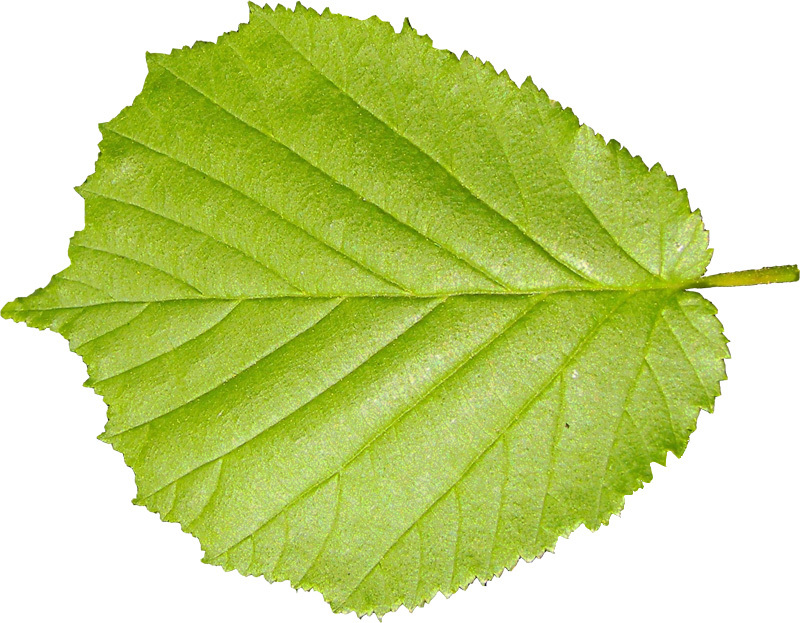 The best time to prune a Hazel is in the summer (around August) using a process called "Brutting". This is where you snap the shoots the developed this year but do not break off. The snap point is around the sixth or seventh leaf up from where the shoot joins the older wood. The theory is that the Hazel tree will not be able to make a new shoot and therefore create more flowers and therefore more nuts on that branch. Uses for newly harvested one year old wood include, basket weaving, Bean supports, thatching pegs and hurdles although other uses include baskets, hampers, walking sticks, fishing rods and shepherds crooks.